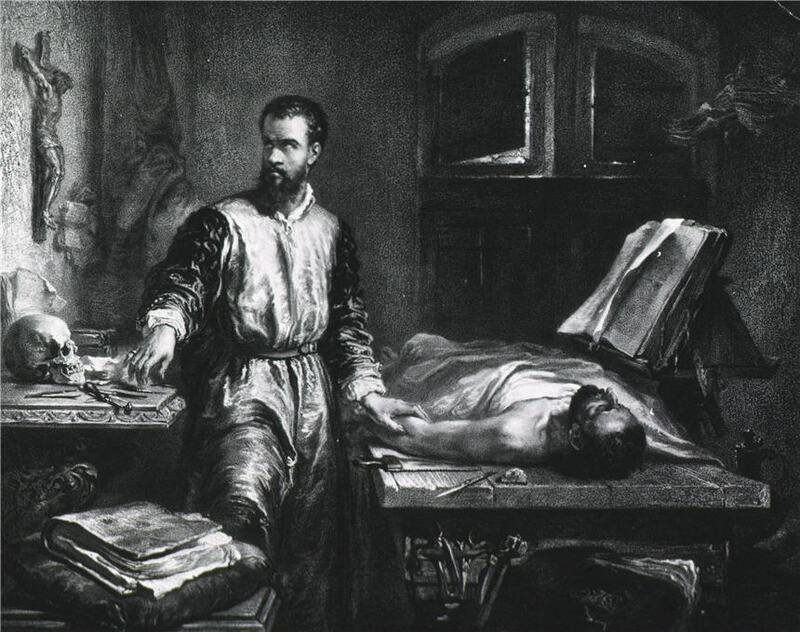 Andreas Vesalius (1514–1564) was an anatomist and physician, often referred to as the founder of modern human anatomy. He performed dissections and created anatomical charts for students, believing that knowledge of anatomy was vital in the practice of surgery. In 1543 he published De humani corporis fabrica libri septem, one of the most influential works in Western medicine. The books were based on Vesalius' observations from his human dissections.